This project took me approximately 2 weeks to complete in between work and the weekend activities. I got the inspiration from the rug we have in our kitchen and my original intention was to match it with plates, glasses and cutlery. I started with drawing, then using colour pencils, then some painting. I then got some coloured paper and started creating designs. Then I moved on to creating coasters using the same colour scheme. 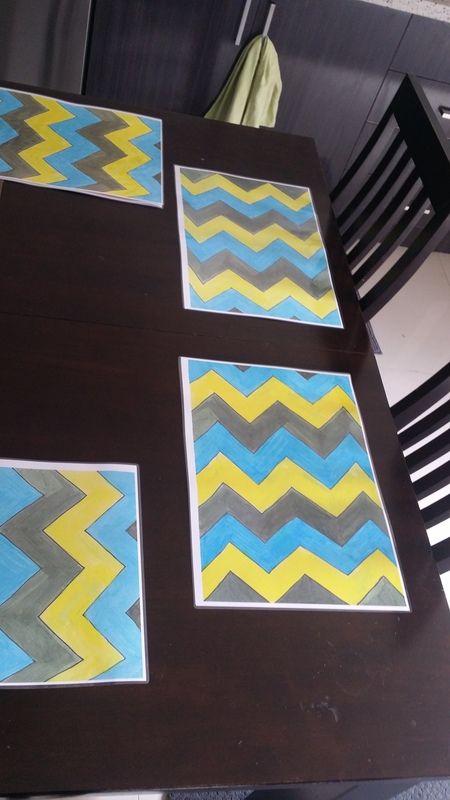 I made the placemats double sided and I still like the blue and yellow side even though upon closer inpection, it does come across as a school art project! I had fun completing this project and I am satisfied that I saw it through to completion even though it took me a good 3 weeks of working on it from idea to completing the colours, to taking it to officeworks for laminating multiple times as the laminator machines at the different branches worked differently (warming up times, broken down machines, no A3 double sided facilities etc). Its interesting how one can build momentum just by pushing through and continuing to work on something even though it may feel hard, challenging or boring. 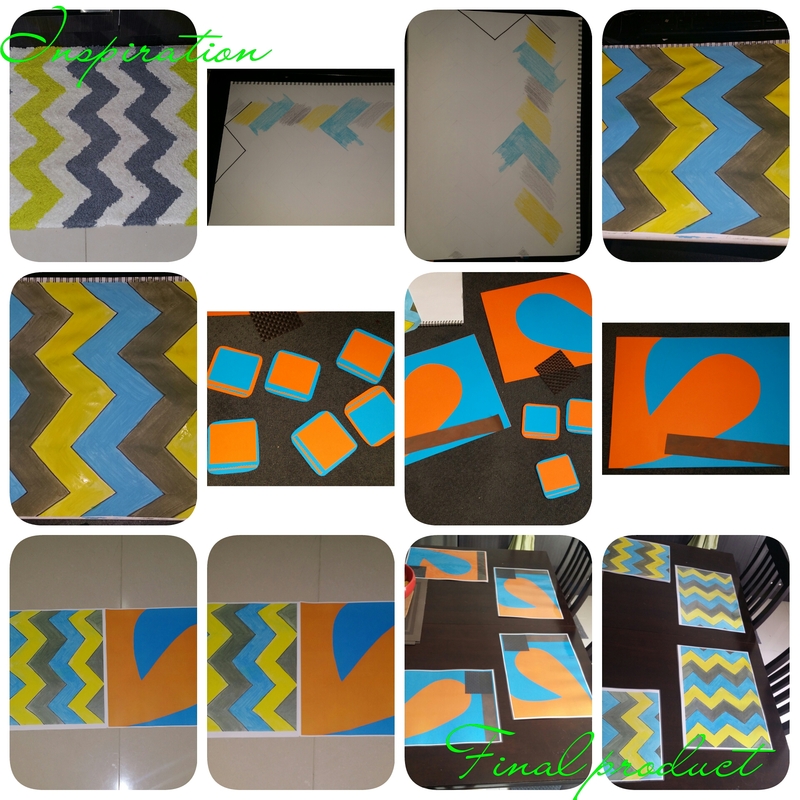 This entry was posted on October 4, 2016 by PreetStyle in D.I.Y. 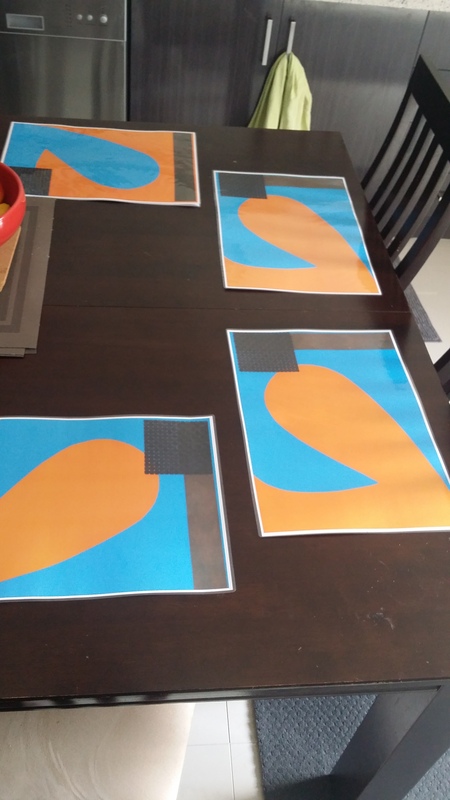 Art, inspiration and tagged childrensproject, D.I.Y. Art, homedecor.